Cheesy Garlic Pinwheels - garlic seasoning, cream cheese, mozzarella baked in pizza dough - I could eat the whole batch! Great as a side with pasta or as an appetizer with warm sauce. 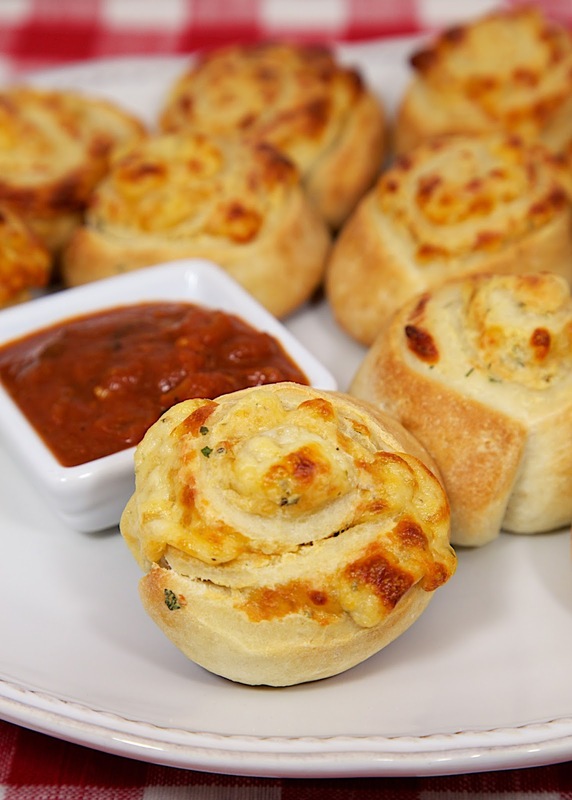 These Cheesy Garlic Pinwheels are dangerously delicious! I have to exercise a ton of self control not to fill up on these at dinner. We like to serve them with pasta or just as an appetizer with some warm spaghetti sauce. Either way they are great! The filling uses a packet of Lipton's Savory Herb with Garlic Soup and Dip mix. It is next to the famous Lipton's Onion Soup Mix in the store. I've found it at Walmart, Kroger and sometimes Publix. I also use the Garlic Soup Mix in a White Pizza Dip - equally delicious! It is really a great mix. I am brainstorming for other ways to use it. Since there are only two of us, I usually make half a recipe. The filling keeps for several days in the fridge. 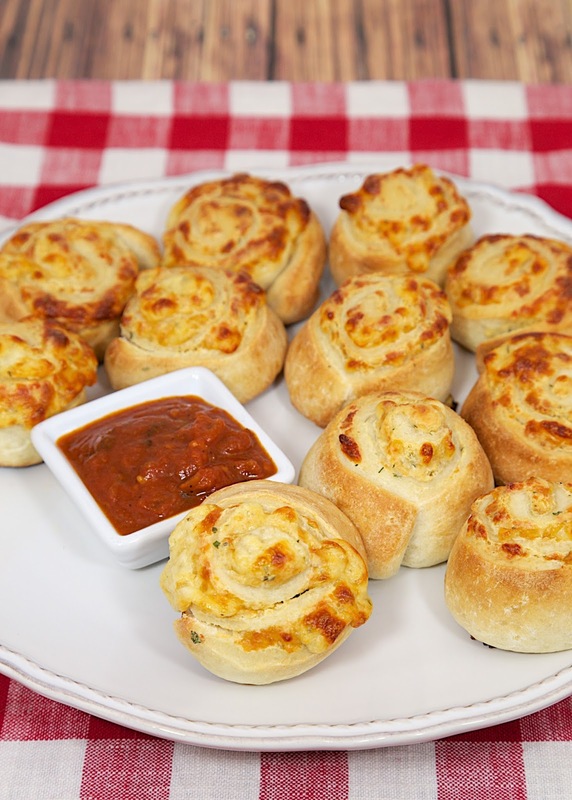 Give these Cheesy Garlic Pinwheels a try and jazz up spaghetti night! Mix together garlic soup mix, cream cheese, mozzarella and milk. Unroll pizza crusts, then top evenly with filling. Roll, starting at longest side, jelly-roll style. Cut into 32 rounds. Bake for 13 minutes, or until brown. Great idea! I bet they would be fine frozen.